It’s extremely common to have a few moles or even a few dozen, but changes in the appearance of your moles may be a warning sign of something more serious. 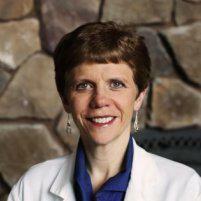 Dermatologist and skin cancer specialist Dawn S. Allison is Bend, Oregon’s expert in skin cancer diagnoses. If you have a mole that’s getting bigger or changing in any way, call Allison Dermatology & Skin Cancer Center or book an appointment online today. What is a mole and what does it look like? A common mole is a skin growth made of pigment-producing cells. Most moles appear at an early age and proceed to grow as the child grows. These moles may also change in color, getting slightly lighter or darker with age. Most adults have between 10 and 40 moles on various parts of their bodies. Moles are typically about the size of a pencil eraser and come in round or oval shapes. They’re smooth-surfaced and frequently dome-shaped. Moles can vary in color depending on the pigment of your skin, but most are evenly colored throughout the entire growth. They’re often brown, tan, or pink. Can a mole turn into skin cancer? How can I tell if I have a mole or melanoma? Symmetry: A mole is usually symmetrically round or oval while melanoma is asymmetric. Color: A mole is evenly-colored throughout the entire growth while melanoma may have shades of many different colors. Size: While moles can grow evenly in childhood, melanomas can grow unevenly and become larger than a quarter inch wide. Changes: A mole won’t change over time, while melanoma may evolve over the course of weeks or months. How does a dermatologist treat moles? First, Dr. Allison performs a physical exam to check for any new growths or changes to existing moles on your body. If she finds anything she suspects may be cancer, Dr. Allison may suggest a biopsy. If your moles are harmless and you still want one or more of them removed for aesthetic reasons, Dr. Allison discusses your treatment options. If you have a mole that’s changing in size, color, or texture, call Allison Dermatology & Skin Cancer Center or book an appointment online right away.